For a cheap, budget price too. 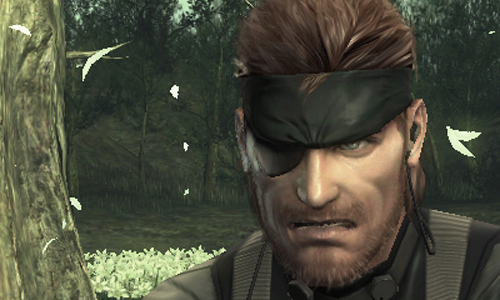 In a rare break from tradition, Kojima announced that Metal Gear Solid would be coming to a Nintendo system before the 3DS had even launched, highlighting a 3DS port of the game. The port ultimately hit about a year after the system had launched, and while it definitely wasn’t as well done as we had been led to believe it would be, it was still Metal Gear Solid 3, and by definition, that made it a great game. If you have a 3DS, and have never played Metal Gear Solid 3, the 3DS port isn’t necessarily a bad way to do it- but of course, with the 3DS game having been out of print for ages now, it’s been hard to track down, especially given that there has been no eShop release for the game yet. Well that changes this Thursday, as Konami confirmed that the game will be hitting the Nintendo eShop on the 3DS on December 18; it will also be extremely cheap, with a budget price of $20. For one of the greatest games ever made? I say that is a damn good deal.